Alexei Kedrov did not have a heart. He was the first agent of the Russian Federal Security Service to have it removed and replaced with two perfectly silent continuous flow centrifugal pumps that integrated flawlessly with his autonomic nervous system. The procedure was not done for health reasons — in fact, his heart was so robust that it was preserved in the Kremlin’s presidential tissue bank — but rather as a way to increase stealth; Alexei became invisible to even the most advanced heartbeat sensors employed by security systems, black ops units, and all forms of cardio-acoustic, antipersonnel ballistics. An additional benefit to not having a pulse was the ability to pass for a corpse. It was rare that such a morbid aptitude proved convenient, but certainly not without precedent. More than once Alexei had gone unnoticed by covering himself with fistfuls of nearby purple glistening entrails and holding his breath while a soldier scanned him with his handheld electric potential sensor, attributed the minimal readings to residual brain activity, and moved on. Relinquishing his heart had saved Alexei’s life on several occasions, and now he was depending on it to help him start a new one. It was not generally difficult to get into the United States anymore since there were far more people making plans to leave than had dreams of immigrating, but getting in without being photographed, scanned, and possibly even microchipped or isotoped (and henceforth monitored by the FBI, CIA, NSA, and/or Immigration and Customs Enforcement) was becoming increasingly problematic. Although there never seemed to be sufficient funding or consensus to pass legislation designed to help feed, clothe, house, or employ Americans, any initiative promising to track them more closely enjoyed lavish financial support and expedited nonpartisan ratification. Given the current political climate, the state of American civil liberties, and the nature of armed conflict across the globe, it occurred to Alexei that the easiest way to penetrate the United States border without being identified or registered was probably as a dead enemy combatant. Rather than maintaining complex and expensive processing facilities all over the world, it was far cheaper and easier to hire contractors to load the bodies of suspected, accused, condemned, and subsequently executed terrorists into reusable carbon fiber caskets, transfer them onto freight drones, and send them off to labs in Northern California, South Carolina, or Texas, where the entire process of unloading, dissecting, analyzing, and finally disposing of remains was completely automated. Most insurgents entered the facility more or less anonymous, but by the time the carborane acids in which their limbs and organs were dissolved got sent out to be disposed of as hazardous waste, the United States had obtained photographs, measurements, biometrics, a full DNA profile, genealogical data, and several other data points useful in matching casualties to known targets, and more importantly, in helping to identify new ones. The most abundant producers of enemy combatant corpses bound for the US were probably the “narco-cratic” nations of Mexico and Columbia, whose only remaining political parties were recent evolutionary offshoots of the Los Zetas, Sinaloa, and Norte del Valle drug cartels. Unfortunately, while constant paramilitary operations were certain to provide Alexei with ample opportunity, there were far too many ways between Russia and just about anywhere in Latin America to register on the ubiquitous and omniscient radar nets cast by any number of three-letter American agencies. Therefore the safest, most reliable, and most convenient option was Iran. 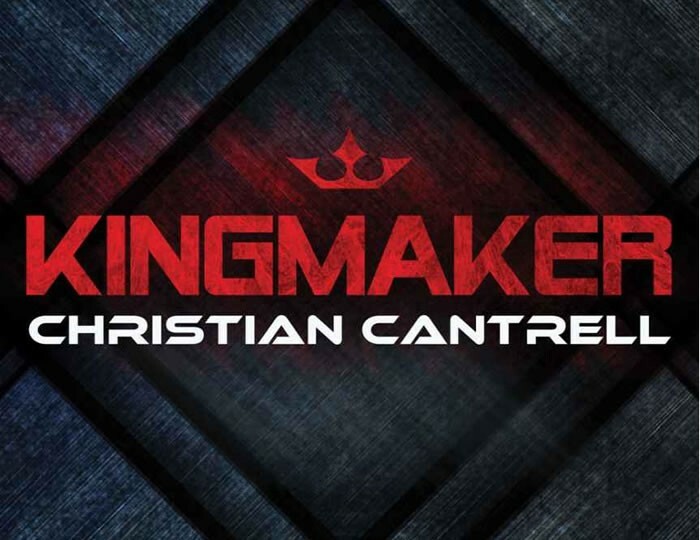 Excerpt from Kingmaker by Christian Cantrell. Published by 47North. Copyright 2013 Christian Cantrell. All rights reserved.